Galectins belong to a family of related beta-galactoside-binding lectins, also referred to as S-type or S-Lac lectins. Members of this family have been implicated in a variety of functions, including growth regulation, cell adhesion, migration, neoplastic transformation, and immune responses. 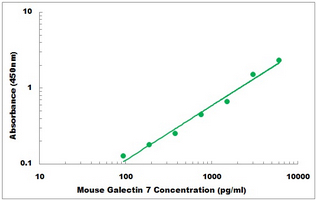 Galectin 7 is thought to be involved in cell-cell and/or cell-matrix interactions necessary for normal growth control. Galectin 7 has been implicated in apoptosis and is believed to upregulate MMP9 and as such be involved in the progression of tumorigenesis. The galectins are a family of beta-galactoside-binding proteins implicated in modulating cell-cell and cell-matrix interactions. 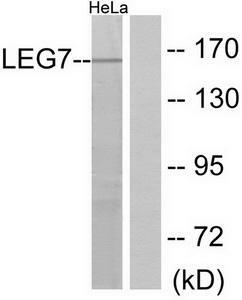 Differential and in situ hybridizations indicate that this lectin is specifically expressed in keratinocytes. It is expressed at all stages of epidermal differentiation (i.e., in basal and suprabasal layers). The protein was found mainly in stratified squamous epithelium. It is moderately repressed by retinoic acid. 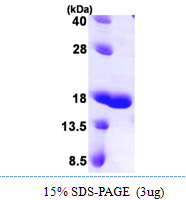 The antigen localized to basal keratinocytes, although it was also found at lower levels in the suprabasal layers, where it concentrated to areas of cell-to-cell contact. The cellular localization and its striking down-regulation in cultured keratinocytes imply a role in cell-cell and/or cell-matrix interactions necessary for normal growth control. 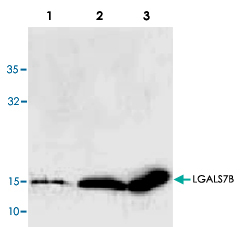 Western blot analysis of LGALS7B using recombinant human LGALS7B.Lane 1 : 50 ng.Lane 2 : 250 ng.Lane 3 : 1 µg. 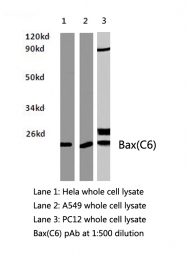 Immunohistochemistry (IHC) analyzes of Bax antibody (Cat.-No. 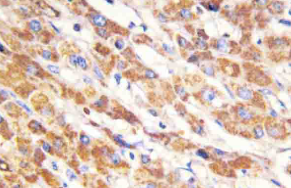 : AP20556PU-N) in paraffin-embedded human liver carcinoma tissue. 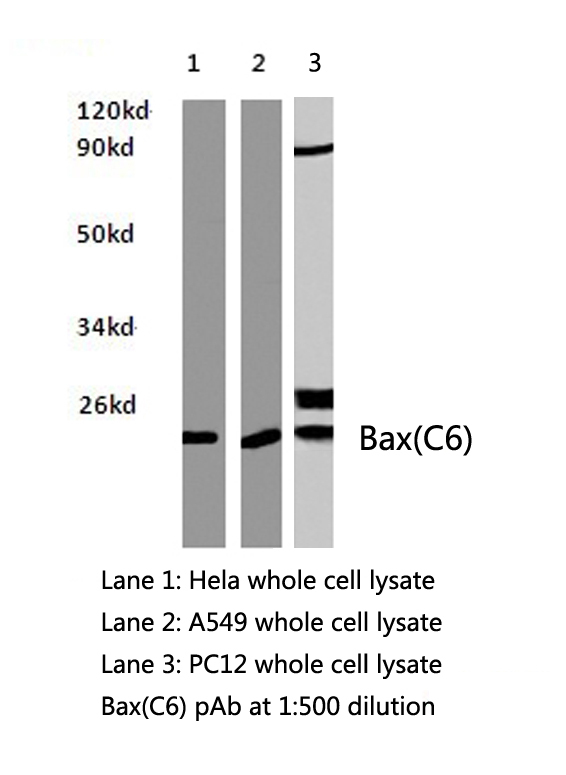 Western blot (WB) analysis of Bax antibody (Cat.-No. : AP20556PU-N) in extracts from Hela, A549 and PC12 cells. Western blot analysis of extracts from HeLa cells, using LEG7 Antibody. The lane on the right is treated with the synthesized peptide. 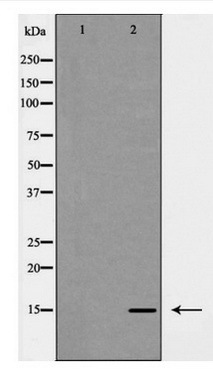 Western blot analysis of extracts from HeLa cells, using LEG7 antibody.The lane on the right is treated with the synthesized peptide. 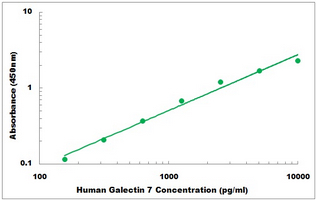 Western blot analysis of Galectin -7 using recombinant human Galectin-7. Lane 1: 50ng, Lane 2: 250ng, Lane 3: 1ug.